Are you looking for some new hairstyles? Are you tedious with your usual hairstyle? Here you go with the best French braid ponytail hairstyles which can be done in few minutes. These hairstyles are the one rocking in the world of fashion and trends. Braids never go out of fashion as they are very easy and adaptable. 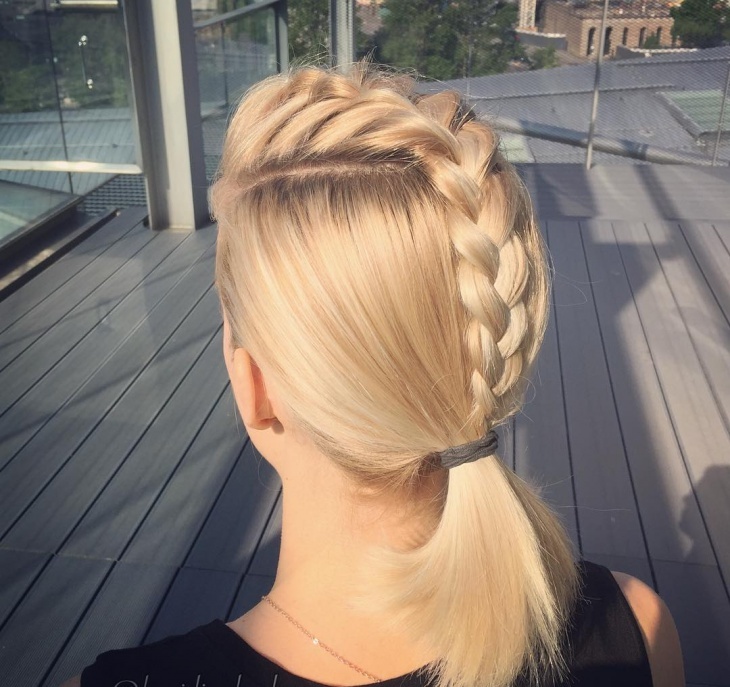 Braids are very stylish and elegant which can be done inside out or upside down. Chrissy Teigen showed up with the side French braid ponytail which is very appealing and lovely for her. Side French are suitable for parties. Treat yourself with a new hairstyle. Try out the half French braid ponytail which Amanda Seyfried turned up with. Look chic and stay with this hairstyle. Trying out the same usual braids sounds quite boring. Try out something different, the cool and pretty inverted French braid ponytail is the best during your springtime. 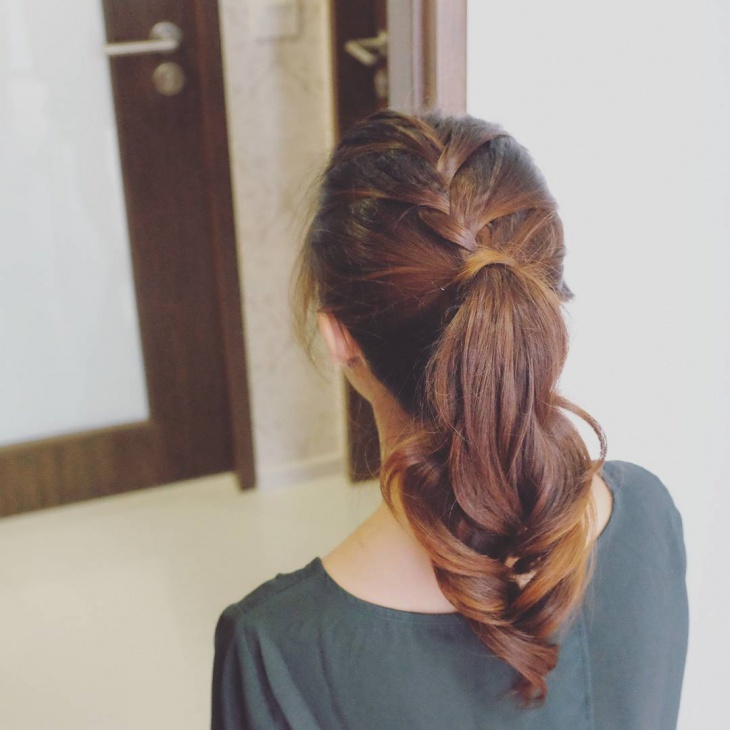 If you are familiar with the normal French braided ponytail then this will be very easy for you. 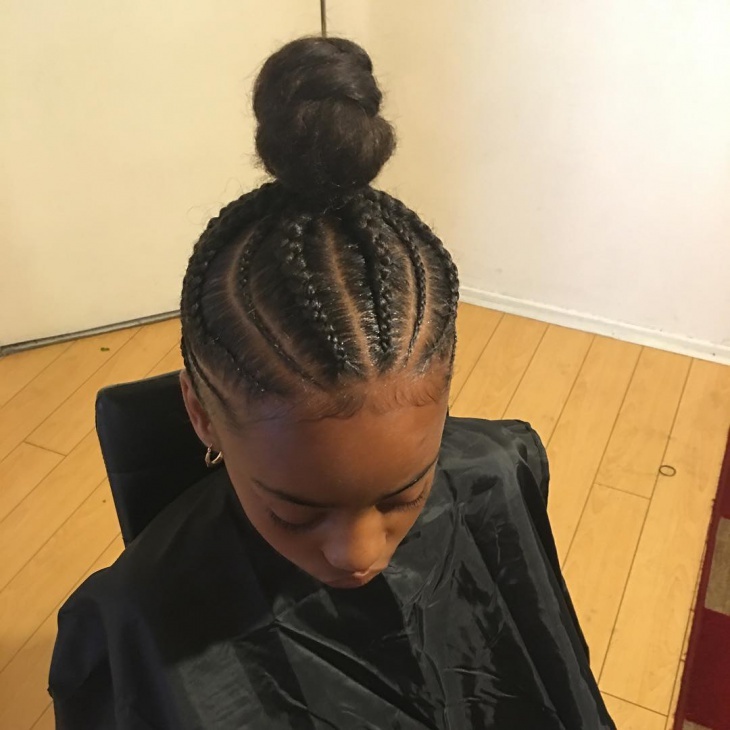 The braids are just twisted in the reverse direction. Try some new hairstyle for this summer, the easiest and the cool style- French braid ponytail bun. Divide your hair into two, take one-half portion in the front, divide into three and twist them. The same procedure is followed with the other portion of the hair. 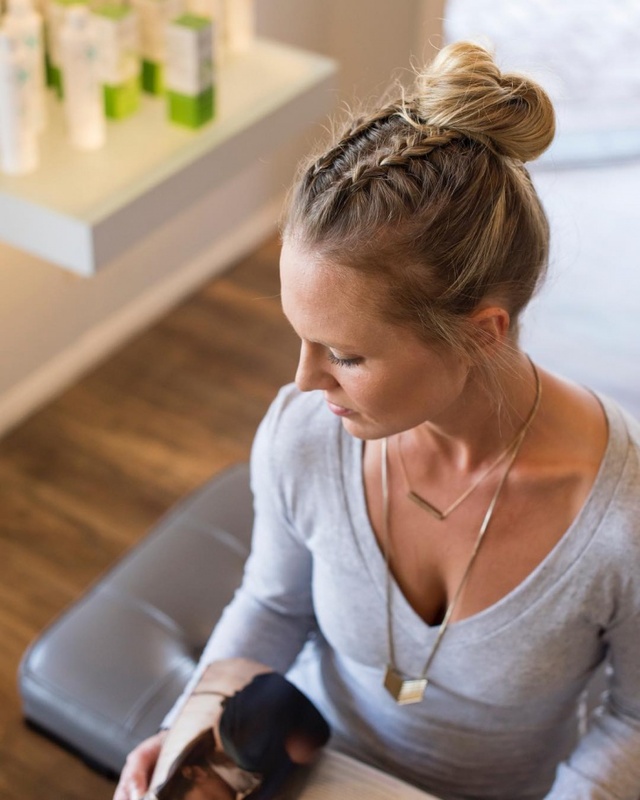 Once the braids are done, take your complete hair and make a simple bun. Try some new hairstyle for your kids, even they need some change in their hairstyles. Divide your hair into several parts. 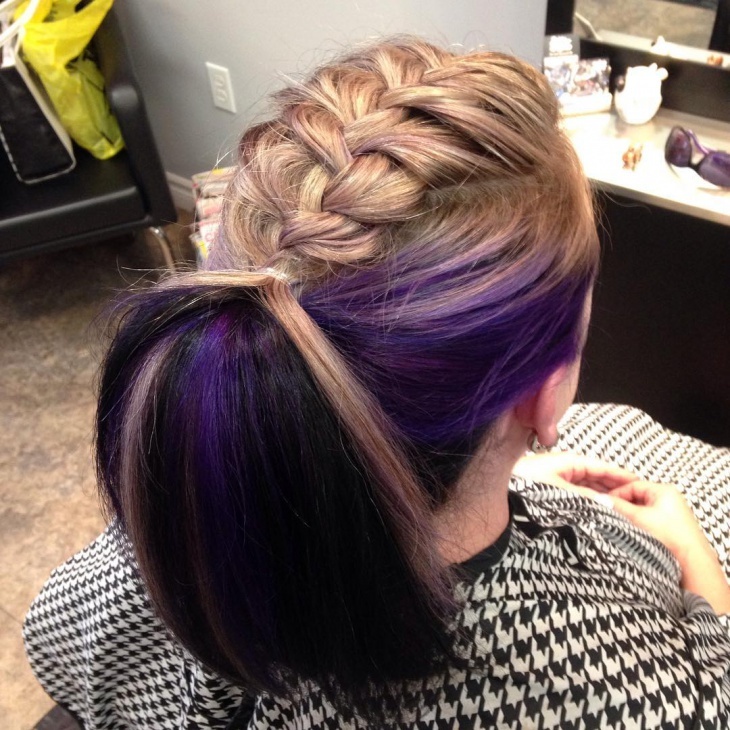 From each part, divide into three to do the usual French braid. Complete the same for the remaining divided portions. Once the braids are done for all the portions, make a bun with the remaining hair. 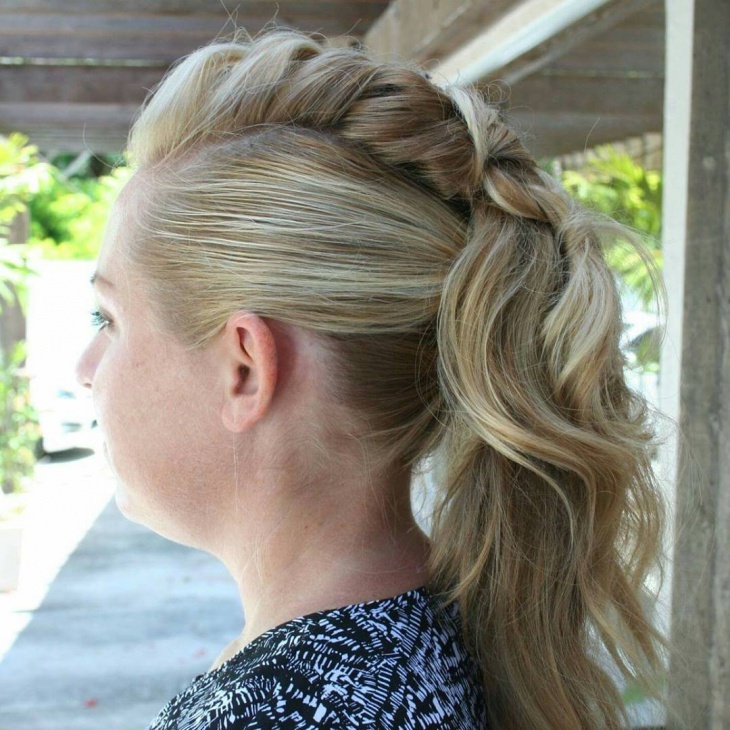 French braid bangs ponytail goes with any dress and for any occasions. 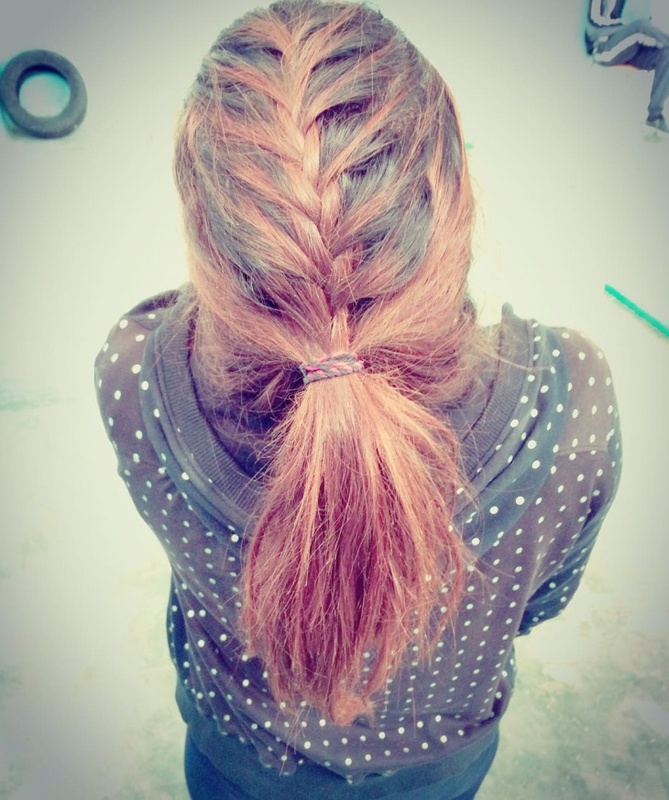 It’s a side braid hairstyle which makes you look very pretty. Divide your hair into half, you will require only one portion of the hair. 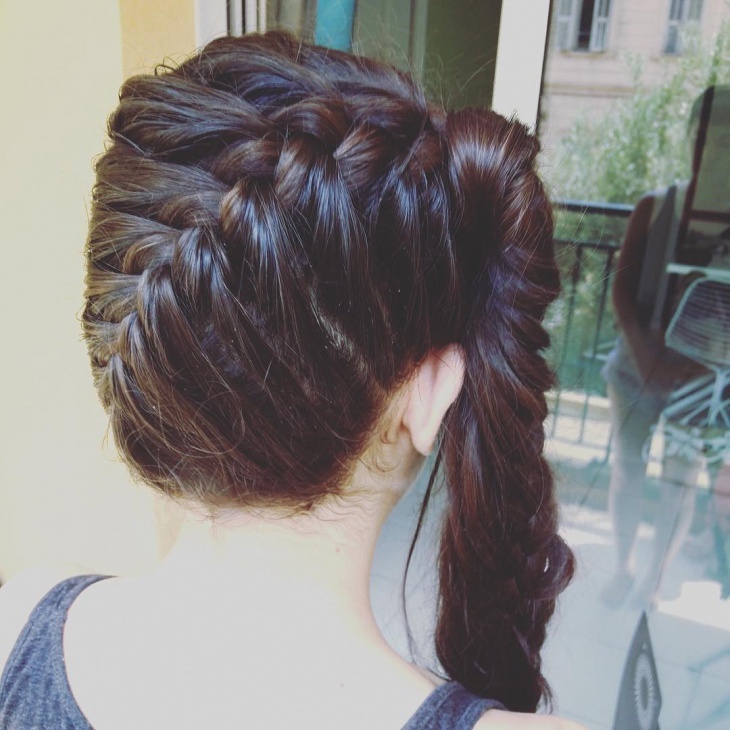 Make two braids from the half portion on one side, it is preferable good on the right side. Hold the complete hair and tie it into a pony. 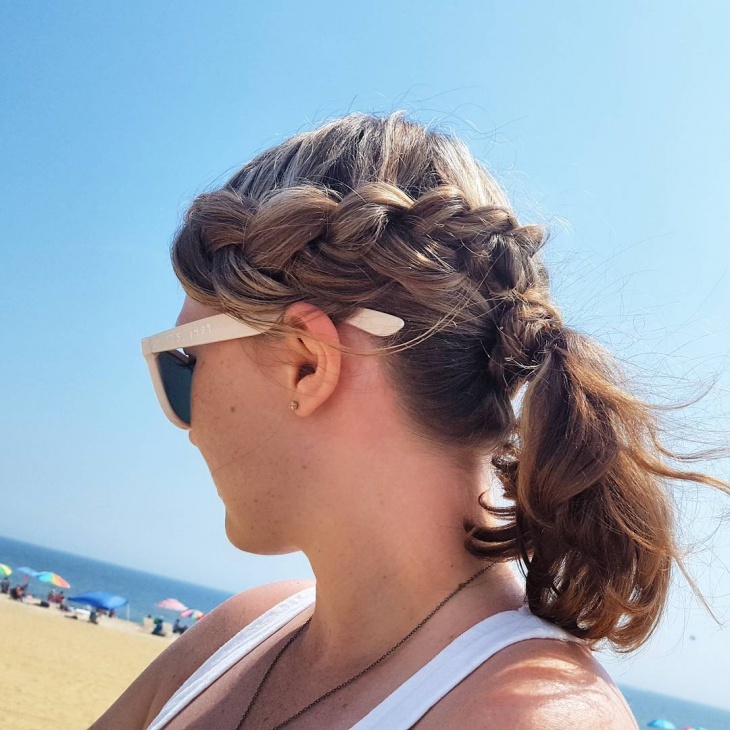 Medium French braid ponytail is the best when you are heading towards the beach. It just gives you the beach girl look, an easy hairstyle which can be done in few minutes. 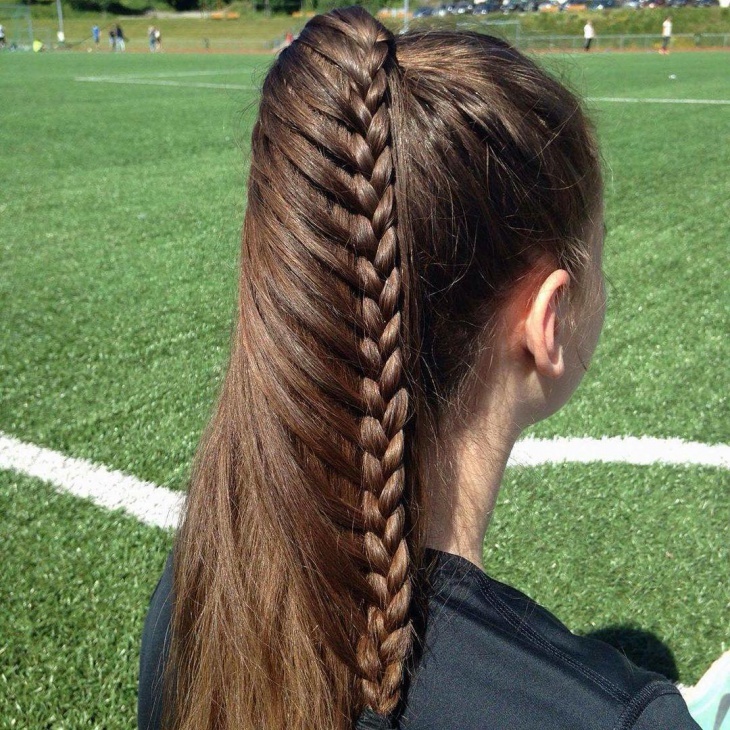 Divide the hair into two, take one-half and do a French braid. Spread them out once it’s complete to give a thick look. Tie the remaining hair into a pony. 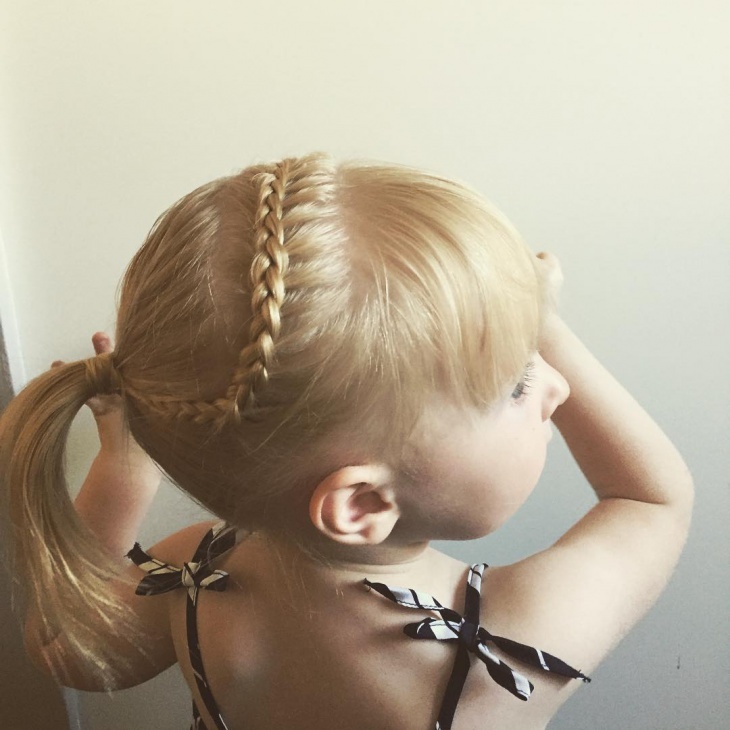 A very cute hairstyle for you and your kid, double French braid ponytail. 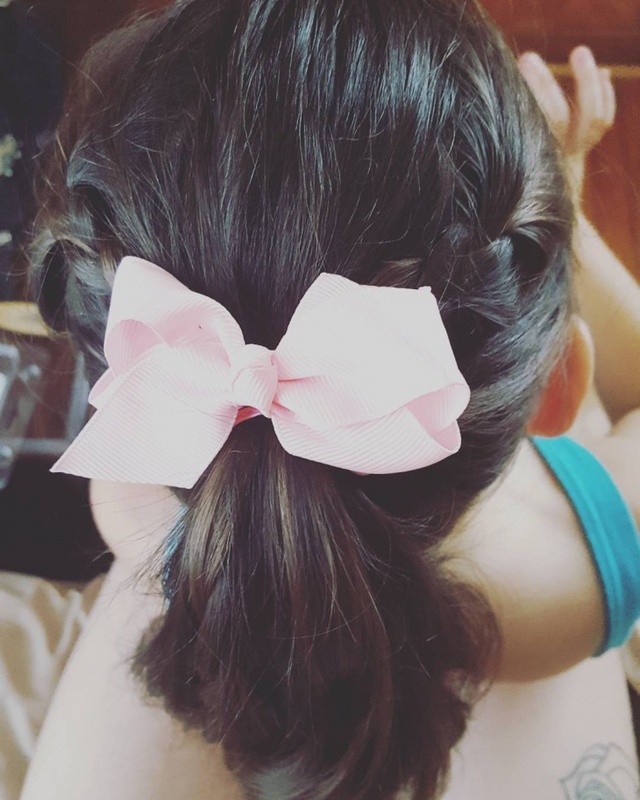 Do braids on both the sides of the hair, join the two braid with a cute bow and fancy hair clips. As the name indicates French braid crown ponytail, it’s a princess hairstyle. This is the best hairstyle for weddings and royal parties. 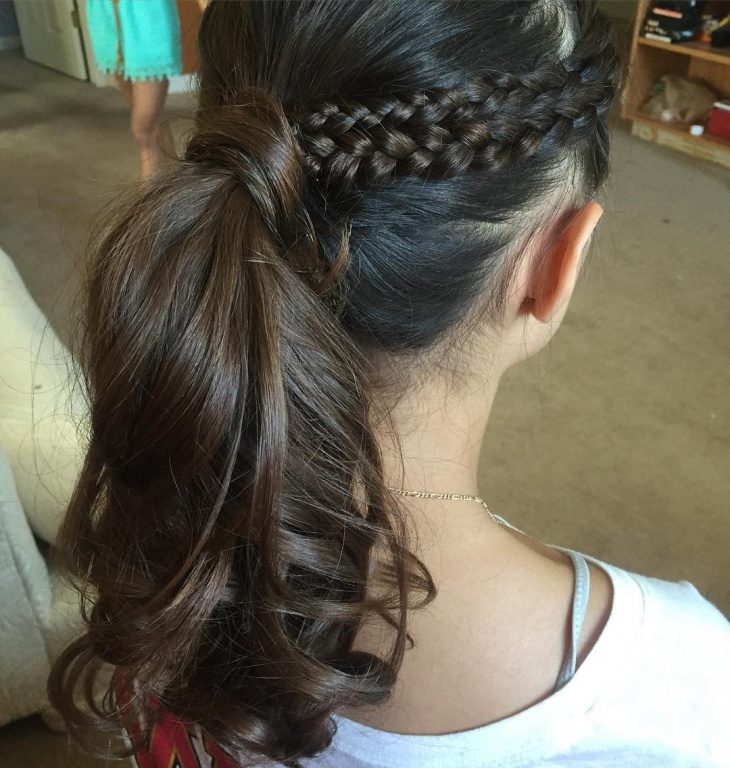 It covers the front portion completely with the braid. Are you a bride maid for your friend? 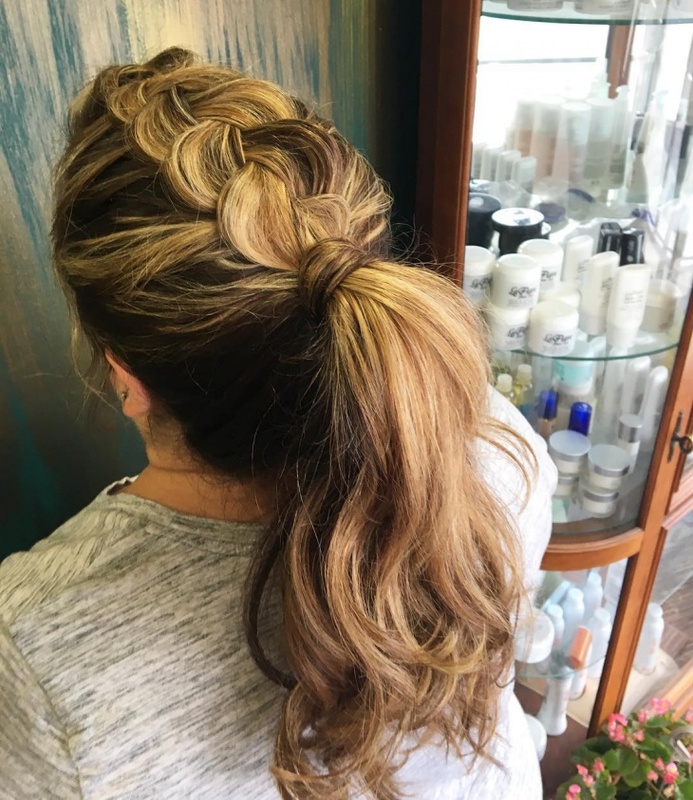 Try this French braid edgy ponytail to look beautiful. 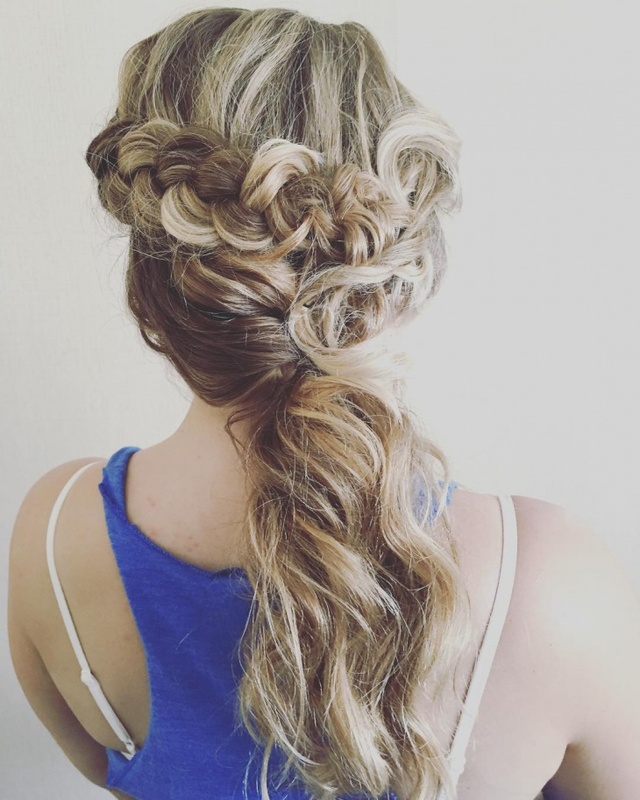 This hairstyle is suitable for weddings and other traditional occasions. Take the center portion of your hair and make a French braid till how much ever lengthy u want the braid to be. Tie the hair into a pony and excluding the braided portion. 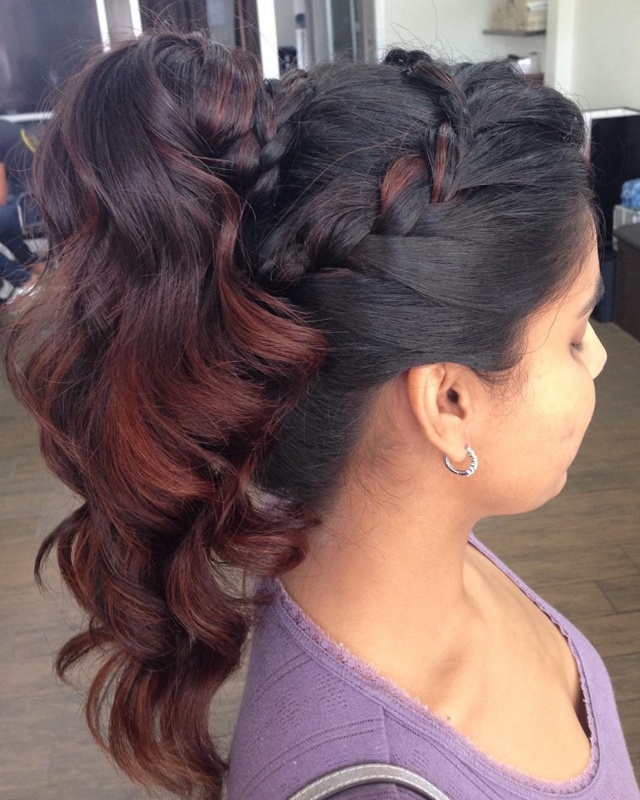 There can find many updo hairstyles which make you look beautiful and attractive. Try something new each and every time and look pretty and be a star among the crowd. The next time you step out for parties, outings, marriages and beachside pamper yourself with these varieties of French braided hairstyles.